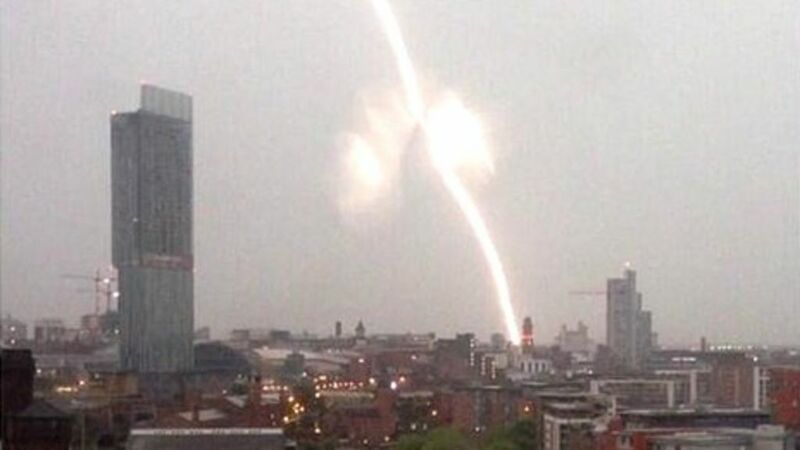 Rail services out of Manchester are disrupted after a "lightning incident" at the city's main station. Platform 7 at Manchester Piccadilly sees Cross Country Voyager 221117 awaiting departure for Bristol Temple Meads. In Platform 5 a Pendolino is on a Euston service, which these days run at 20 minute intervals from here. The 1607 hrs Arriva Cross Country Voyager departs from Platform 6 at Manchester Piccadilly for Bristol Temple Meads as two Pendolinos sit in the adjacent platforms awaiting their next turns to London Euston on 23 September 2009.